Today (August 5th, 2016), we have listed 9 new Nissan Pathfinder ads to our site. These listings span 1 different states and 7 model years. 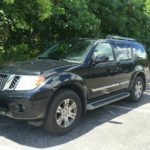 2011 Nissan Pathfinder Silver Edition 4×4. Extremely clean inside and out! Has just under 116k miles and runs great This is a v6 with leather, heated seats.……. 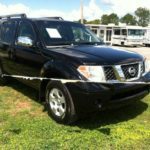 05 Nissan Pathfinder, loaded, third seat, never wrecked, drives great. 111k miles. Very clean inside and out. Non smoker. 8800.00 Please call or text Todd at…. 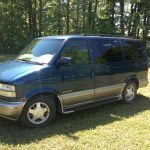 This entry was posted on Friday, August 5th, 2016 at 12:41 pm	and is filed under Alabama, Birmingham, Huntsville. You can follow any responses to this entry through the RSS 2.0 feed. Both comments and pings are currently closed.